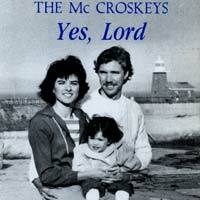 "I listen to McCroskeyMusic.com in the evening and on weekend. I love your music and listen to them very often. I can sing most of them now. The beautiful voices, moving tunes and lyrics based on Scriptures always edify my soul whenever I listen. I hope more people will listen to your songs and be touched." 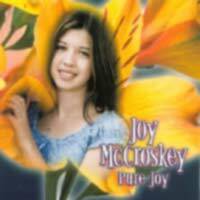 "Estimados Joseph, Tammy y familia:Mientras me deleito escuchando vuestra música en mccroskeymusic.com me emociono volver a saber de ustedes..."
"I have loved and cherished ALL these McCroskey songs for many years. Listen and I think you'll agree that these should be sung across the Americas and beyond, in homes, churches and schools. They're that good. The vital message is soundly rooted in, or is actually straight from, Scripture, and the melodies and harmony are deeply beautiful and memorable. 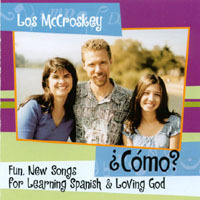 The simple, clearly pronounced language in these songs, and all the McCroskey albums, will be appreciated by native speakers and Spanish language learners." ¿Cómo podrá el (la) joven llevar una vida limpia? Viviendo de acuerdo con la Palabra. Viviendo de acuerdo con la Biblia. I stress the next-to-last syllable; I don't have to guess. But, if there's an accent mark, then that is the syllable I stress. When consonants other than n or s are on the end of a word I stress the end, oh yes. z: es el alfabeto. Gracias a Dios, superé el reto. está aquí / es el Señor / es el Rey. Cada día es bueno para leer la Palabra. Quiero pensar como tú, hablar como tú, actuar como tú, ser como tú. Tú eres perfecto. Nadie como tú. Tú eres todo lo que quiero ser, Señor. Yo quisiera ser como tú. Cumpleaños feliz te deseamos a ti. Que Dios te bendiga. Cumpleaños feliz. Uno, dos, tres y cuatro, cinco, seis, siete, ocho, nueve, diez, once, doce, trece, catorce, quince. / Dieciséis, diecisiete, dieciocho, diecinueve, veinte, veintiuno, veintidós, veintitrés, veinticuatro. / Veinticinco, veintiséis, veintisiete, veintiocho, veintinueve, ahora treinta. Diez, veinte, treinta, cuarenta, cincuenta, sesenta, setenta, ochenta, noventa, cien, ciento diez. Ahora de a cien: / Cien, doscientos y trescientos, cuatrocientos, quinientos, seiscientos, setecientos, ochocientos, novecientos, mil. Primero, primero, primero el mero mero. Primer, tercer, el primer mes es enero. Primero, segundo, tercero, cuarto, quinto, sexto, séptimo, octavo, noveno y décimo. La primera, segunda, tercera, cuarta, quinta, sexta, séptima, octava, novena y décima. Sin Jesucristo la vida es pésima. Tú, Señor, eres mi todo. Mi Señor, oh mi Señor, tú eres mi todo. eres único; eres precioso; eres Cristo. Jesus died for you; Jesus died for me. Jesús murió por ti; Jesús murió por mí. Jesus is alive. Jesus is alive. He rose again from the grave. Now He's at the Father's side. Jesus will return. Jesus will return. We wait for Him expectantly. We'll live with Him eternally. Para llegar al cielo hay que seguir derecho. Sigue por el camino, detrás de Jesucristo. Al lado de este camino hay desvíos y peligros. No debes doblar a la derecha ni tampoco a la izquierda. Camina... con Cristo. Camina... con Jesucristo. pasa la Calle del Orgullo. Hay que cruzar por la fuente. Al entrar a la iglesia ya te queda cerca. No estás lejos del cielo mientras caminas con Cristo. walk on the path behind Jesus. Next to this road there are detours and dangers, so don't turn to the right or the left. Get down off your throne; pass Pride Street. You'll have to cross through the fountain. A door will be in front of you. Cristiano eres tú; cristiano soy yo también. El cielo es tu destino; al cielo voy yo también. a los dos Jesús salvó. E iguales somos a los ojos del Señor. You are a Christian; I'm a Christian, too. Give me five! Give me five! Give me five! You're on your way to heaven; I am going there, too. We're equal in the eyes of the Lord. Yo me acuesto tranquilo, y en seguida me duermo. Pues, tú Señor me haces vivir, pues tú Señor me haces vivir confiado. ¿Cómo podrá el joven llevar una vida limpia? ¡Que se alegren los cielos y la tierra! ¡Que brame el mar y todo lo que contiene! ¡Sí el viene! ¡Sí el viene! ¡Sí el viene muy pronto! Por motivo de tu nombre, Señor, ¡reanímame! ¡Cuan grande es la suma de ellos; más que la arena! I will sing praise to the Lord, my God. He is coming soon! He is coming! He is coming, He is coming soon! Wake up! The sun is shining. Don't you stay in bed all day. No! Don't even touch that remote. Live your life the healthy way. I'm not talkin' ‘bout fruits and veggies. No, you don't need to lose a pound. I just want you to know the joy that I've found. (One, two, three. )Chorus: / ‘Cause it's amazing. The sun is shining, go out and play. You're crazy if you stay home and pout all day. climb a mountain or a tree. What? A cramp? You're kidding me! You're a couch potato, don't you know? Don't waste your life watching some dumb old show! Now let's camp out in the woods. Build a fire and sing some songs. See how much you're missing when you stay at home and watch TV. Look at all the things God made, just for you and me! (Chorus) ‘Cause it's amazing! Whoa. So amazing. Don't you know? You're crazy! So lazy! Amazing! Whoa. Whoa. Bridge: Climb a tree. Sail the sea. Come along with me. Look in the sky, birds flying by. (Chorus) ‘Cause it's amazing! Whoa...Yeah! Chorus: / Only smile, and all your fears will go astray. Only smile, and all your tears will roll away. Only smile, and when I look at your face the world is a better place! I know the world's not fair. But the remedy that cures, I'm telling you it's for sure, and it's free. The world is a better place! Yeah! ‘cause her mother had abandoned her at birth. Every night Misty asked herself if she was really of any worth. No one seemed to care about her. “Does anybody out there love me? Does anybody care about me? Would anyone be sad without me? Is anybody there to hold me? To care for me and to mold me into the girl that I would like to be? Misty held her breath and listened while she prayed for an answer to her call. “Somebody out there loves me! Somebody out there hears me! Somebody would be sad without me! Somebody is there to hold me! To care for me and to mold me into the girl that I am going to be! Somebody out there loves me. And as far as I can see, I know that You belong to me. And, if so far that much is true, then surely I belong to You! And so, I must be Yours! Lord, I belong to You! which you have had since the beginning. This old command is the message you have heard. because the darkness is passing and the true light is already shining. 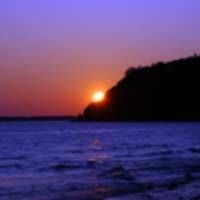 Anyone who claims to be in the light but hates his brother is in darkness. and there is nothing in him that will make him stumble in darkness. he does not even know where he is going. 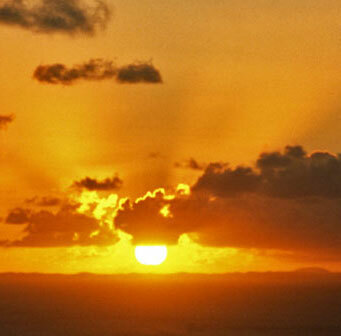 But, now the darkness is passing and the true light is already shining! Jesus, Jesus, Jesus. You are Jesus! yet still you need more proof that I am God. Feel my hands, feel my feet, put your finger on the wounds. See the blood that I shed, when I gave my life for you. yet still you don't believe that I am God. put your finger on the wounds. See the blood that I shed, when I gave my life for you... For you! I need Jesus! I need Jesus! I need Jesus! I need Jesus! I need Jesus! Dear Daddy, I am broken now. for I am just a little girl. Chorus: / Just a little girl in the arms of heaven. A little child at the gate of love. Just a little girl resting in your peace. /Dear Father, I'm in so much pain. I need you, once again, to show me the way back home. I'm lost and all alone. (Chorus)I am so tired of walking, I cannot bear to go on. Daddy, I need you to hold me. I have been trying too long! Whoa! Same lyrics as track #4. You're more than the sunshine. You're more than the seas. You're more than the stars in the sky. You're more than the flowers. You're more than the trees. You're more than a great mountain high! Chorus: / And I will praise You like the stars twinkling so bright. And I will praise You spreading heavenly light. And I will praise You because You're more than worthy of all praise. /You're worth more than silver and much more than gold. You're worth more than money could buy. You're worth more than diamonds, gems or precious stones. And so, oh my Lord, hear my cry! You're worth more than I'd earn in all my days! Oh Lord, You're more than worthy of all praise! when we're down: we can try to make it through without You. But it's hopeless without Jesus. He's the only One, the only Way. Chorus: / Pure joy. The beauty of life is seen in smiles! make it through your trials. /Brothers and sisters, just say a prayer, and God will be there when you're afraid. He will lead you through the night, to the light. (Chorus) Wipe away your tears, make it through your trials. Eres maravilloso; eres lindo; eres amoroso; eres Cristo. Eres grandioso; eres digno; eres majestuoso; eres Cristo. Eres hermoso; eres único; eres precioso; eres Cristo. Para todos los que participaron, cuando eran peques, en nuestras actividades infantiles. Cristiano eres tú, cristiano soy yo también. ¡Chócale! ¡Chócale! ¡Chócale! El cielo es tu destino, al cielo voy yo también. No estás lejos del cielo mientras caminas con Cristo Camina... con Cristo. Camina... con Jesucristo. 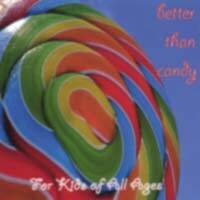 Find out all you'd ever want to know about our kids' CD, Better than Candy. See our photos and read about us. Post your comments and questions. It won't go out of style, and it won't need Shout! God will show you what to do! Have you ever seen my Cabbage Patch doll? About a doll that can't even speak? Now just what makes me unique? His face shone like the sun, and his clothes became dazzling white. Hey, B., see that Man? Oh, gee! We know our A to Z! Guess what! Can you guess who? 1. There's A Song in the Air! And we greet in His cradle our Savior and King. Look at all the gifts beneath the decorated tree! See the lights and candles, burning vividly. Stockings hang above the fireplace, mistletoe and holly on a wreath. Christmas is here! A beautiful time of year! We might forget the birthday of our King. But do they remember how Jesus came to die? In their beds all warm and cozy, what do they dream of? Surely, they should be remembering God's great gift of love. He came down from Heaven, sent by God to free us! Let's not forget, it's the birthday of our King! Let's not forget the birthday of our King! Good will to those with whom He is pleased"
2. More of Joseph's testimony and his song Don't Back Down! There's a lot to learn"
We are Joseph and Tammy McCroskey. We reside in Freedom, California. We have been married since 1982. We are devoted to serving God and helping others know Him. 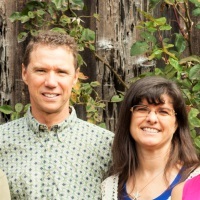 We had the privilege of serving as missionaries in Chile for seven years (1989 - 1996). 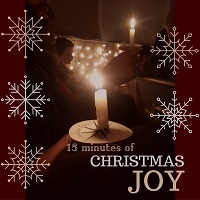 We are language teachers and we record our original songs to help people learn Spanish and/or English, worship God and come to know Him better. Our three children are also bilingual. Our daughter, Joy, has been singing and recording with us since she was 2. She composed and performed all of the songs on Pure Joy at the age of 13. Her beautiful voice, catchy tunes, and uplifting lyrics will edify your soul every time you listen to her CD. You'll also hear her on all of our other CD's. Our other children, Silas and Lisa, participated a bit on our ¿Cómo? CD. Lisa sang several of the songs on Better than Candy (please visit www.betterthancandy.blogspot.com for a listing of the other singers on this CD). Inquiries about obtaining hard copies of our CD's may be directed to us via "Contact Us". Also we'd appreciate hearing from you if our music has been a blessing to you. Thanks for visiting mccroskeymusic.com! Somos Joseph y Tammy McCroskey. Somos residentes de Freedom, California. Estamos casados desde 1982. Nos dedicamos a servir a Dios y a ayudar a que otras personas lo conozcan. Tuvimos el privilegio de servir como misioneros en Chile durante siete años (1989 - 1996). Somos maestros de lenguas y grabamos nuestras canciones originales para ayudar a los que están aprendiendo el español y/o el inglés y para que todos alaben a Dios y lo conozcan cada vez más. Nuestros tres hijos también son bilingües. Nuestra hija, Joy (“Alegría”), ha cantado y grabado con nosotros desde que tenía sólo dos años. Ella compuso, tocó y cantó todos los temas del disco Pure Joy a los 13 años. Su voz preciosa, sus melodías pegajosas y su letra alentadora edificarán tu alma cada vez que escuches su disco. La escucharás también en cada uno de nuestros discos. Nuestros otros hijos, Silas y Lisa, participaron un poquito en nuestro disco titulado ¿Cómo? Lisa interpretó varios cantos en Better than Candy (favor de visitar a www.betterthancandy.blogspot.com donde hay una lista de los demás niños que contribuyeron). Para averiguar acerca de obtener discos compactos por correo, puedes contactarnos por correo electrónico al utilizar "Contact Us". Además estaremos agradecidos si nos cuentas si nuestra música te ha sido de bendición. 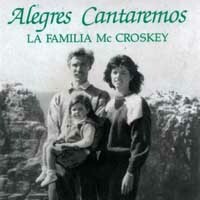 ¡Gracias por visitar a mccroskeymusic.com!